Russian Businessmen Daily reported on March 28, Russian President Vladimir Putin has agreed in principle to sell S-400 air defense missiles to China. Negotiation is going on between China and Russia on the quantity and price of the purchase. However, even an agreement has been concluded, Chinese military will not get the missile until 2016 as Russian troops’ need shall first be satisfied. 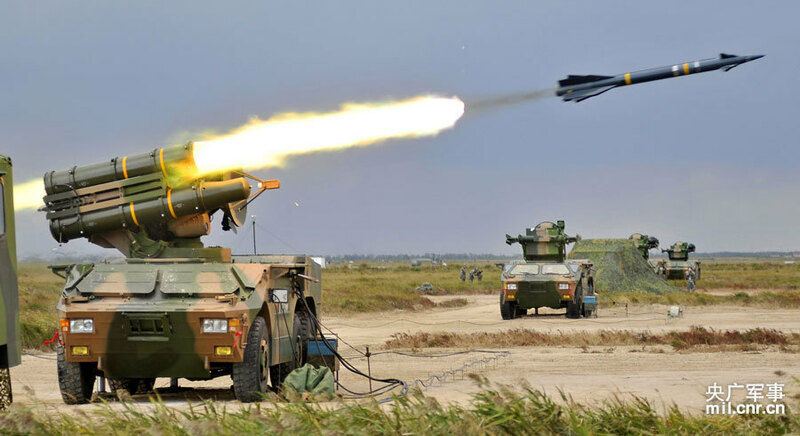 The newest information on the purchase shows that the two sides are discussing the supply of the missiles for two battalions and China wants to obtain complete information about the tactic and technological functions of the new weapon systems. In comparison, according to the export contract signed in 2007, China has got S-300PMU2 air defense missiles for 15 battalions and four sets of command system for the missiles. Those missiles are now used to protect such large cities as Beijing and Shanghai. 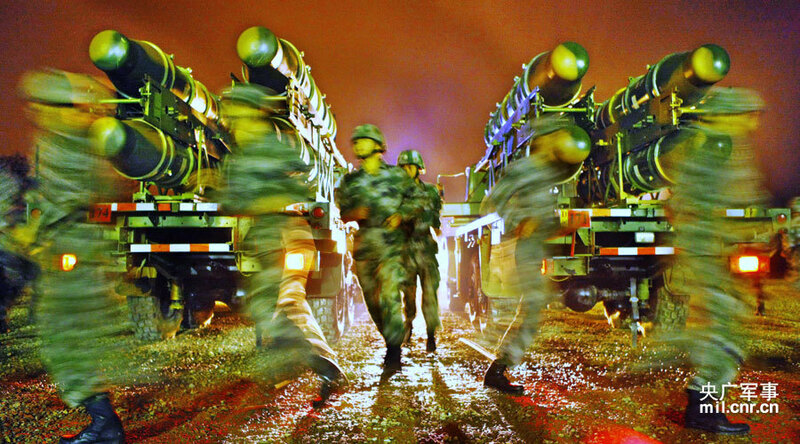 The report says if China has got S-400 air defense systems, it will be able to control the air not only on its own territory but also on Taiwan and the Diaoyus. China was the fourth biggest importer of Russian weapons last year with the total value of weapon import exceeding $1.8 billion. Huanqiu.com publishes a report today with the above title that gives the impression that it is about HQ-7B missile, but except the two photos posted here all the text and other 5 photos are about Chinese military’s efforts related to IT-based warfare, which do not reveal any information worth translating. The government’s top spokesman on Sunday said the Foreign Ministry has lodged a protest with China over President Xi Jinping’s remarks on the number of Chinese killed by the Imperial Japanese Army during the Nanjing Massacre in 1937. At a think tank forum in Berlin on Friday, Xi said Japanese troops killed more than 300,000 residents when it captured what was then its capital during the Second Sino-Japanese war. Xi also said more than 35 million Chinese were eventually killed or injured as Japan waged a war of aggression stemming from its militarism. Chief Cabinet Secretary Yoshihide Suga said the protest was lodged with the Chinese government on Saturday. Although Tokyo does not deny that the Japanese army was involved in the killing and looting of Nanjing, it has refrained from stating the number of victims because views on the historical matter vary, he said. “It is extremely regrettable” for the Chinese leader to make such comments on Japanese history in a third country, Suga said during a television appearance Sunday morning. Chinese experts at a bilateral panel of historians in 2010 concluded that more than 300,000 were killed in the Nanjing Massacre, while Japanese historians cap the number at 200,000. Some estimates as low as 20,000. This atrocity and other historical disputes have placed a constant strain on bilateral ties for years, but another major sticking point — the sovereignty row over the Japan-controlled Senkaku Islands — came back with a vengeance after Japan effectively nationalized the chain in 2012. China claims the islets as Diaoyu and Taiwan calls them Tiaoyutai. Chinese ships have been shadowing or intruding into Japanese territorial waters around the islets ever since. On Saturday, three Chinese coast guard ships intruded for the seventh time this year, according to the Japan Coast Guard. The Haijing 2101, Haijing 2151 and Haijing 2401 entered waters off Minamikojima, from around 10 a.m. to 10:15 a.m. Saturday, according to the 11th Regional Coast Guard Headquarters in Naha, Okinawa Prefecture. A Japan Coast Guard ship told them to leave the waters, but the Chinese stayed for about two hours before departing. 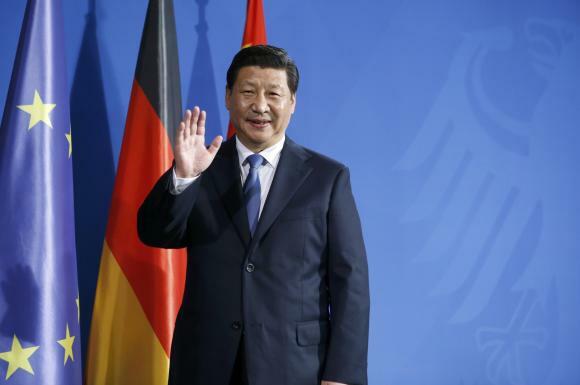 In his Berlin speech, Xi responded to criticism of China’s growing military budget by saying that it is proportionate to the country’s size, and that Beijing’s aim is to prevent itself from ever again being oppressed or colonized by foreign powers. On March 5, China announced a 12.2 percent rise in military spending to 808.23 billion yuan (¥13.38 trillion) for 2014. 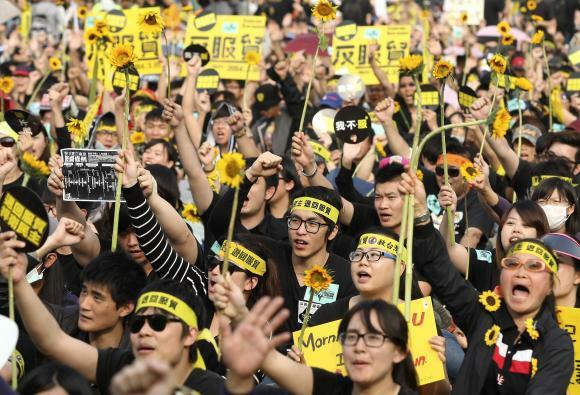 Demonstrators holding sunflowers shout slogans in front of the Presidential Office in Taipei March 30, 2014. We Chinese are proud of our college students. They are the driving force of Chinese history. See how similar are Taiwan college students’ campaign to defend Taiwan’s democracy to Chinese college students’ campaign for democracy at Tiananmen Square 25 years ago. They are so disciplined and well-organized, strong but peaceful. They are so wise as to clearly know what is at stake. The pact Taiwan students are opposing is in fact beneficial to Taiwan as China wants to use economic benefit to attract Taiwan to unify with it. However, the students know that Taiwan’s democracy may be at risk if Taiwan allows China to dominate it by economic baits. Some people believe that the best way out for Taiwan is independence, but Taiwan can never be a lasting independent state separated from China because it is too small and located too close to China and too far away from the United States who has promised to protect it when China tries to take Taiwan by force. Now, Chinese leaders want a peaceful solution of the Taiwan issue so that they will keep on providing Taiwan with economic benefit to establish economic ties between China and Taiwan so tightly that the two will become inseparable. However, no one can guarantee that future Chinese leaders will not want a military solution especially if Taiwan declares independence while the US has become weaker than China and been unable to defend Taiwan. The only way for Taiwan to defend its democracy is to set an example of how people are benefited by democracy and how peaceful, disciplined and well organized the struggle for democracy can be. Unlike Ukraine, they do not resort to violence to drive away a democratically elected president and thus began a crisis that caused Ukraine to lose a vital part of its territory. Unlike the uneducated workers, peasants and wild Red Guards who were exploited by Mao’s great democracy to help Mao in his power struggle to seize power back from his political enemies, they refuse to be exploited by political parties. Taiwan college students will set an example for democratization of China. The only hope for them to be sure that their democracy may survive is to help turning China into a democracy. More than 100,000 protesters took to the streets of Taiwan’s capital on Sunday as a two-week-long campaign against a trade pact with China gathered steam, piling further pressure on the island’s leader. The rally in Taipei – where many were dressed in black and some clutched sunflowers to symbolize hope – was one of the largest in recent years in Taiwan, an island that split from China over six decades ago after a civil war. Protesters say the deal to open 80 of China’s service sectors to Taiwan and 64 Taiwanese sectors to China was rushed through, and could leave Taiwan increasingly beholden to China’s Communist Party leaders. Some called for the resignation of Taiwan’s China-friendly president Ma Ying-jeou, whose popularity has plunged despite helping to improve ties with China since taking office in 2008. A coalition of student and civil groups behind the demonstration said that around 500,000 people had massed in streets near the Presidential Palace and the parliament building that has been occupied by protesters for nearly a fortnight. Police put the figure at 116,000. Police erected steel barricades to prevent protesters from reaching major government buildings including the cabinet offices that were raided by students last Sunday, sparking scuffles and the use of water cannon by police. Activists have plastered anti-Ma banners on the legislature walls, and stacks of armchairs block the exits. Ma has said the trade agreement is necessary for Taiwan’s economic future, but opponents say the deal could hurt small Taiwanese companies. Many also worry the pact will allow Beijing to expand its influence over a fiercely independent and proudly democratic territory that China sees as a renegade province. “Save Democracy, Don’t Sell Our Country,” read a banner on Sunday. The trade pact was signed by China and Taiwan last June as a way to boost economic cooperation between the two sides but has yet to be formally ratified by Taiwan’s legislature. “China is using economic methods to invade Taiwan,” said protester Liou Jong-yuan, a 47-year-old engineer. The protest could strain the recent rapprochement between Taiwan and China, particularly if Ma capitulates on the trade deal that the protesters want scrapped. Ma Ying-jeou said on Saturday the protests would not affect the potential for a meeting with Chinese President Xi Jinping. Both sides have expressed interest in a historic meeting between their leaders, though no timeframe or venue has been set. Taiwan and China have been ruled separately since the Communists won China’s civil war in 1949. The party’s anti-corruption watchdog and the prosecutor’s office did not respond to requests for comment. In the secretive world of China’s Communist Party, targets of its investigations usually disappear, often for months or even years, until an official announcement is made. 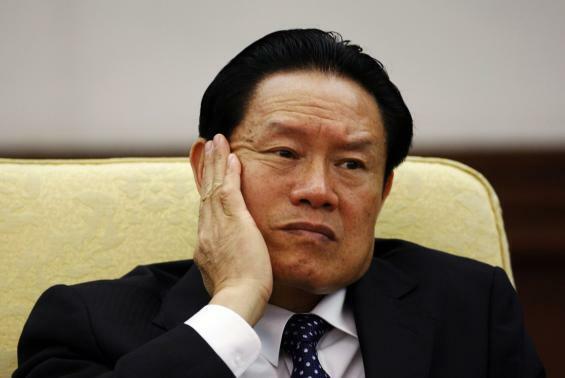 “Zhou Yongkang is tough and claims its political persecution,” the source said. Zhou rose through the ranks of China’s oil and gas sector before joining the elite Politburo Standing Committee in 2007, where as domestic security chief his budget exceeded defense spending. He retired in 2012 and was last seen at an alumni event at the China University of Petroleum on October 1. The first two sources said prosecutors and the party’s anti-corruption watchdog had frozen bank accounts with deposits totaling 37 billion yuan and seized domestic and overseas bonds and stocks with a combined value of 51 billion yuan after raiding homes in Beijing, Shanghai and five provinces. The seized assets belonged to those in custody, the sources said, without saying how many people in total had been detained compared to just questioned. Most of the assets were not in Zhou’s name, they added. The first two sources added that more than 10 of Zhou’s relatives had been detained. They included Zhou’s one-time television reporter wife Jia Xiaoye, his eldest son from a previous marriage Zhou Bin, Zhou Bin’s in-laws and Zhou Yongkang’s brother. Reuters has been unable to contact the three men. It’s unclear if they have lawyers. More than 20 of Zhou’s bodyguards, secretaries and drivers had also been detained, the sources said. Many other family members and associates had been questioned. Since becoming head of the party in late 2012 and then president a year ago, Xi has vowed to go after both powerful “tigers” and lowly “flies” in an effort to crack down on the corruption he says threatens the party’s very existence. Putting someone as powerful as Zhou in the dock would be a political decision that only Xi could make after getting the consensus of senior party members, Xi’s predecessors and other retired top officials, they say. As a member of the Standing Committee, the apex of power in China, and a former domestic security chief, Zhou would have intimate knowledge of the skeletons in the party’s closet. Before Bo’s downfall, Zhou had recommended that Bo succeed him as domestic security chief, multiple sources with direct knowledge of the matter have said. Type 096 Qin class nuclear submarine began to be formally commissioned in July 2008. 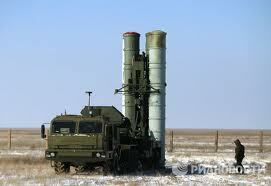 It carries 24 JL-3 SLBMs with a range of 15,000 km and MIRVs. JL-3 SLBM is the submarine version of DF-41 land-based ICBM. DF-41 can have 10 MIRVs but JL-3 seems to carry less MIRVs as the report says the 24 SLBMs can hit at lease 64 targets simultaneously. As a result, a 096’s fire power is equivalent to that of six 094 Jin class strategic SLBM submarines. Moreover, installed with an anti-satellite device, a JL-3 can hit an enemy satellite. 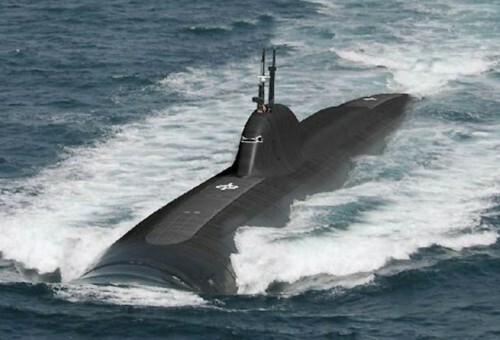 A 096 submarine has a maximum displacement of 10,000 tons and is said to be rival to US Ohio class nuclear submarine characterized by low noise, high undetectability and maneuverability, great survival ability and long-range attack capability. Recently, there has been media report that a 096 submarine launched a JL-3 SLBM from the Yellow Sea and successfully hit its target in Gobi Desert 8,000 kilometers away. In an interview with an international media, a US military officer said that it was quite probable that China has completed its deployment of six 096 submarines to have the capability of nuclear strike covering Europe, Asia, Australia and North America. .
China’s President Xi Jinping waves to media following a joint news conference with German Chancellor Angela Merkel after an agreement signing, at the Chancellery in Berlin March 28, 2014. Chinese President Xi Jinping said on Friday during a visit to Berlin that Japan’s wartime atrocities were still “fresh in our memory”. Japan occupied parts of China in the 1930s and 1940s. 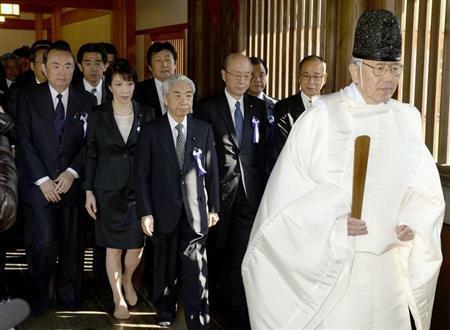 In December, Japanese Prime Minister Shinzo Abe angered China and South Korea by visiting Tokyo’s Yasukuni Shrine, which they see as a symbol of Japan’s wartime aggression as it honors convicted war criminals as well as others who died in battle. “We Chinese have long held the belief that we should not do onto others as we do not wish they do onto us … China needs peace like humans need air and plants need water,” he said.